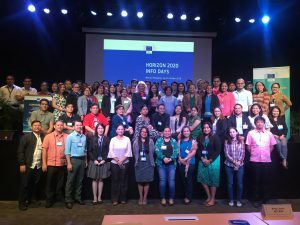 Silliman University (SU) co-presented with the European Commission its “Horizon 2020 Info Days” seminars in Cebu City and Manila October 17 and 22-23, respectively. Horizon 2020 is the European Union’s (EU) eighth framework program for research and innovation. It makes available funding opportunities for research projects and grants for innovations. With accessible funding of almost €80 billion from 2014 until 2020, Horizon 2020 is EU’s biggest research and innovation program to date. The grants are open to all research and innovation institutions, think tanks, and university research departments in the Philippines and other ASEAN countries. The seminars co-presented by European Commission and SU introduced Horizon 2020 to the participating heads of institutions and university research units. The participants learned about European research funding and collaboration opportunities and were briefed on the process of applying for Horizon 2020 funding. 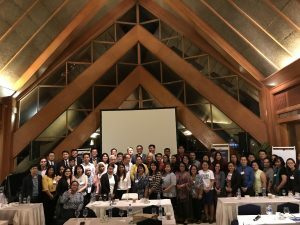 National Scientist and former SU president Dr. Angel C. Alcala keynoted the seminar at Shangri-La Hotel Mactan, Cebu on October 17. He pointed out to the participants the importance of participating in Horizon 2020 and establishing international collaboration. He told them how he was able to enrich and sustain research projects because of collaborations and support from outside the country, using as examples some of SU’s collaborative projects in environmental management, marine biodiversity, and the Coral Triangle partnerships in international research and education. Meanwhile, Dr. Betty Cernol-.McCann, president of SU and of the Association of Christian Universities and Colleges in Asia (ACUCA), was the keynote speaker on the second leg of the Horizon 2020 seminar held at University of the Philippines at Bonifacio Global City, Manila on October 22-23. She told her audience about the important role international collaboration played in the regional activities of the United Board for Christian Higher Education in Asia (UBCHEA), for which she was Vice President for Programs for six years. SU is a partner of the European Commission in disseminating information about Horizon 2020 and its opportunities for researchers in the country. Dr. Jenny Lind Elmaco, director for Strategic Partnerships of SU, said the university is being tapped to find ways for the EU to expand its activities in assisting research and innovation in the Philippines and the ASEAN. Dr. Elmaco was an Erasmus Mundus scholar and is the country representative of the Marie Curie Alumni Association as a Marie Skłodowska-Curie Actions (MSCA) fellow. Erasmus Mundus is a program by the EU, while MSCA is a program financed by Horizon 2020. Other presenters at the seminar in Cebu were European Commission Directorate–General for Research and Innovation officials Maria Cristina Russo, Director for International Cooperation; Pierrick Fillon-Ashida, Policy Officer; and Dr. Kostas Glinos, Head of the Unit for International Cooperation; and EURAXESS ASEAN representatives Susanne Rentzow Vasu and Simon Grimley. Louis Dey, Acting Head of Development Cooperation of the EU Delegation to the Philippines, gave the welcoming remarks at the Manila seminar with Department of Science and Technology representatives. Dr. Corina Abraham-Barna, National Contact Point for MSCA in Romania, was a key lecturer in both seminars. As EU’s financial instrument to boost research and innovation for development, Horizon 2020 implements three main priorities in its policies: Open Innovation, Open Science, and Open to the World. Carlos Moedas, European Commissioner for Research, Science and Innovation, said in his key speech at a conference in 2015 that these three priorities aim to fill in the gaps in Europe’s research and innovation efforts. 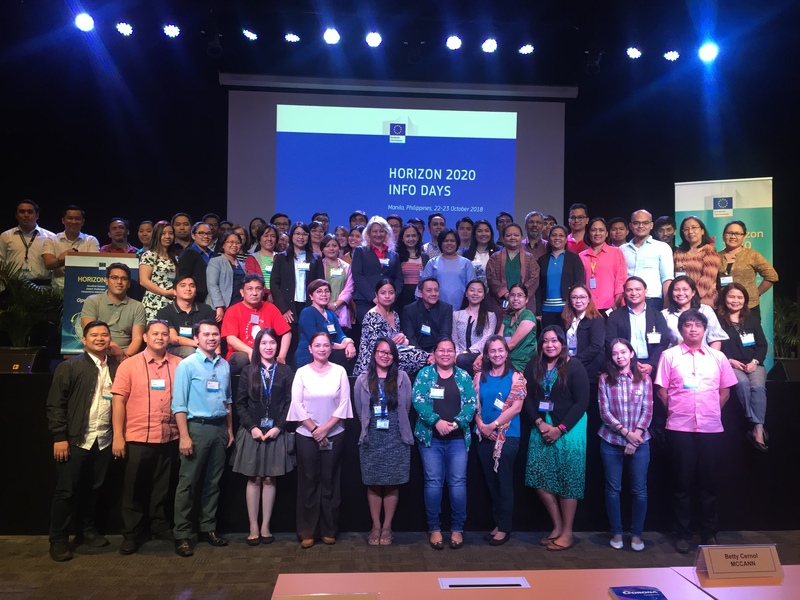 For more information on the Horizon 2020 grants, interested parties may contact Dr. Elmaco at [email protected] or call (035) 422-6002 loc 222.